Home > Scholarships > Snap, Style & Share - Photo And Design Competition. Region India, US states & the District of Columbia, Australia, Belgium, Brazil, Canada (excluding Quebec), Egypt, France, Germany , Indonesia, Israel, Jordan, Luxembourg, Malaysia, Mexico, Netherlands, New Zealand, Philippines, Republic of Korea, Russia, Saudi Arabia, Singapore, South Africa, Taiwan, Turkey, UAE, United Kingdom or Vietnam. 19 – 24 years old. There will be 3 winners per age group (13-15, 16-18 and 19-24 years old), totaling 9 winners for the Competition. 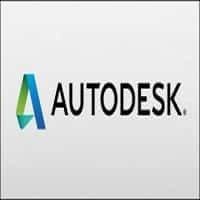 The person has to first register their account at Autodesk Design Competitions and after that complete the user profile, After that the participant can submit the entry. The participant should submit two pictures: the before picture with no editing and the after picture enhanced with Autodesk’s Pixlr® Express app. Each entry must be submitted in accordance with the format, content and other requirements. Sponsor will establish a panel of at least six (6) individuals (each, a “Judge”). In the first round, after the Voting Period closes, 10 finalists per age group (totalling 30 finalists) will be chosen from the pool of eligible entries. In the second round, the full panel of Judges will apply the Criteria to evaluate the finalists by assigning a value between 1-10 to each criterion for each finalist. The finalist with the highest aggregate score in each age category will be selected as the Grand Prize winner for that age category. The finalist with the second highest aggregate score in each age category will be selected as the First Prize Winner for that age category. The finalist with the highest score for the “creativity” Criteria in each age category (excluding any entries from each Grand Prize winner and First Prize winner) will be selected as the winner of the Special Prize for Inspirational Creativity for that age category..
Autodesk, Inc. is an American multinational software corporation that focuses on 3D design software for use in the architecture, engineering, construction, manufacturing, media and entertainment industries. The company was founded in 1982.